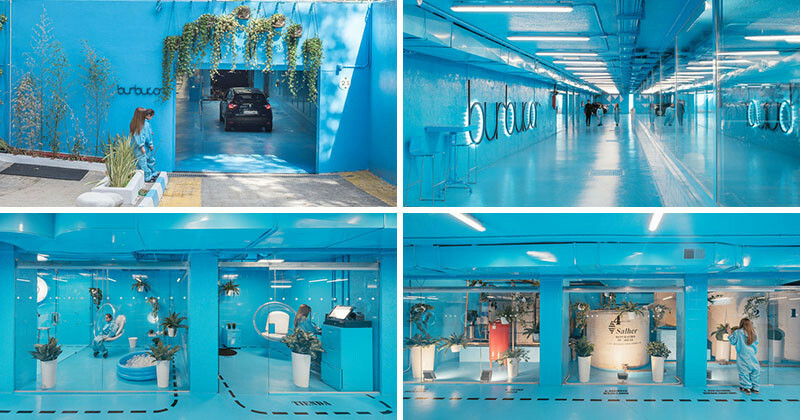 Could this car wash get any bluer? 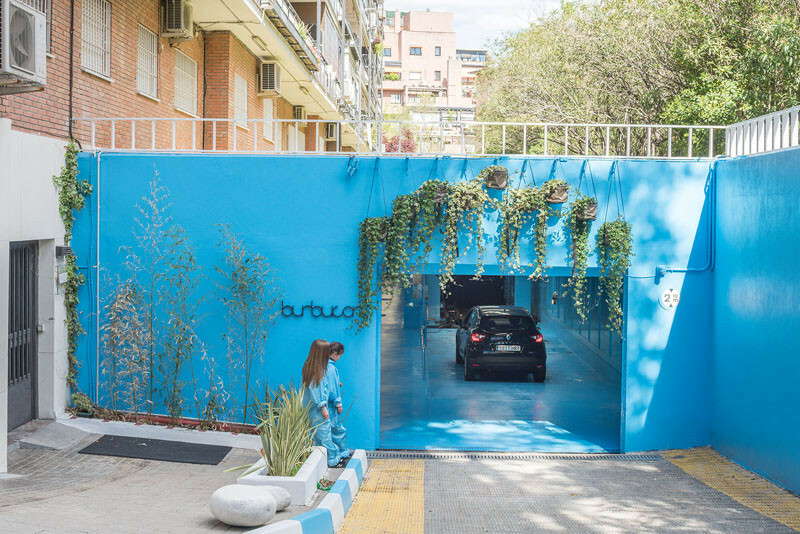 The design of this new car wash in Madrid, Spain has made the act of getting your car cleaned into a memorable and noteworthy experience. 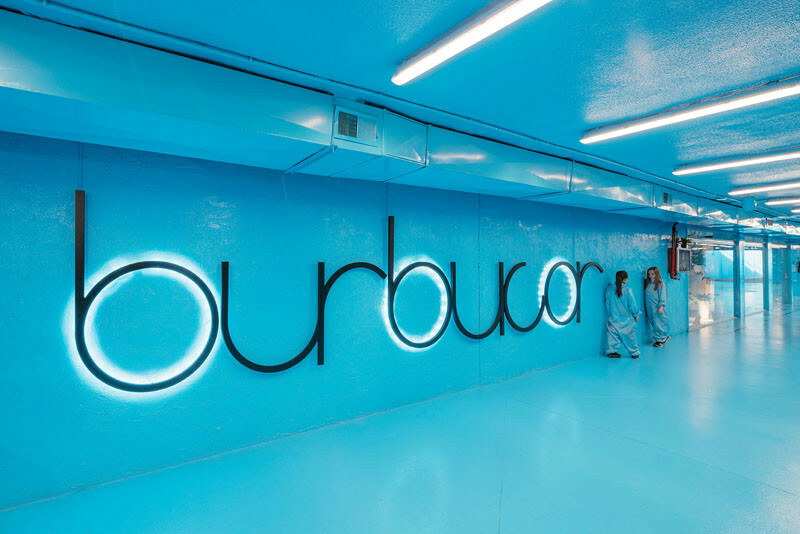 Designed by architect Lina Toro, the Burbucar Car Wash occupies the ground floor of a 7-floor building, in a 229 ft (70m) long and 39 ft (12m) wide tube. 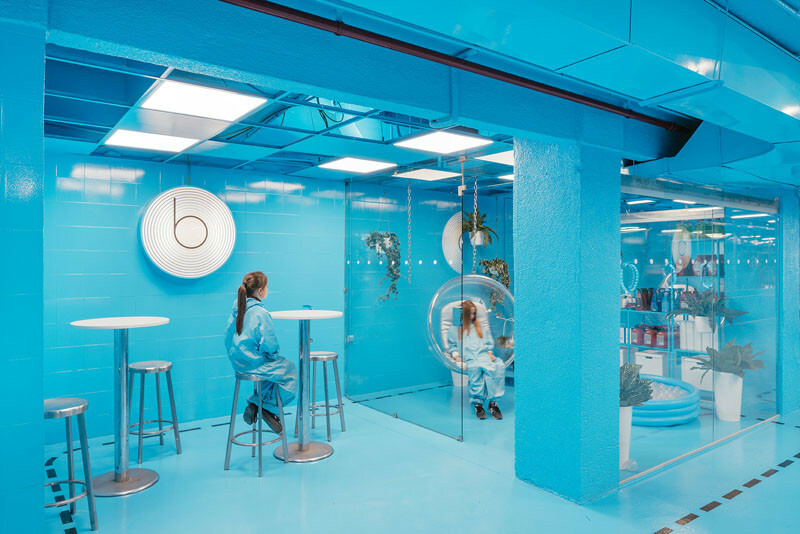 A key design element was to make sure the customers would be able to see all of the action throughout the car wash.
Glass windows expose the procedures of the approximately 80 cars that are washed daily. 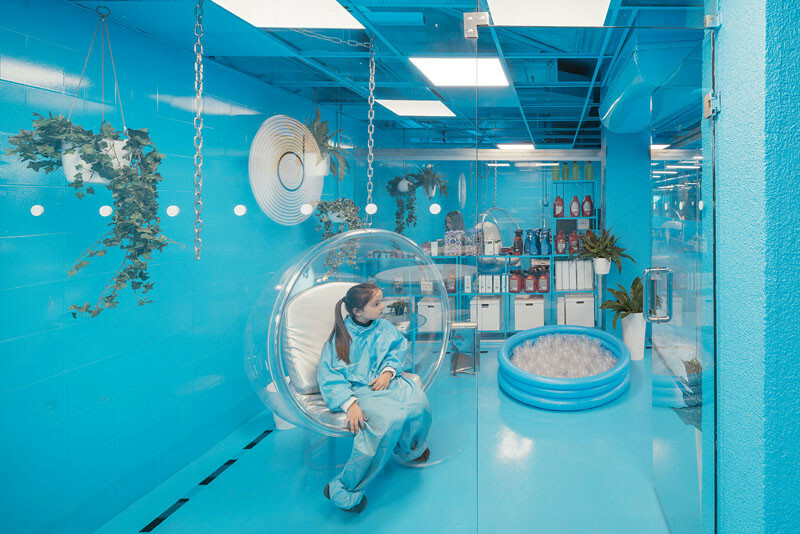 The car wash rests on a 10cm neoprene bedding, which absorbs vibrations of the machines in the car wash tunnel, and the water used is recycled at a purifying room. For the customers, there are dedicated spaces for waiting. You simply follow the black line along the process. 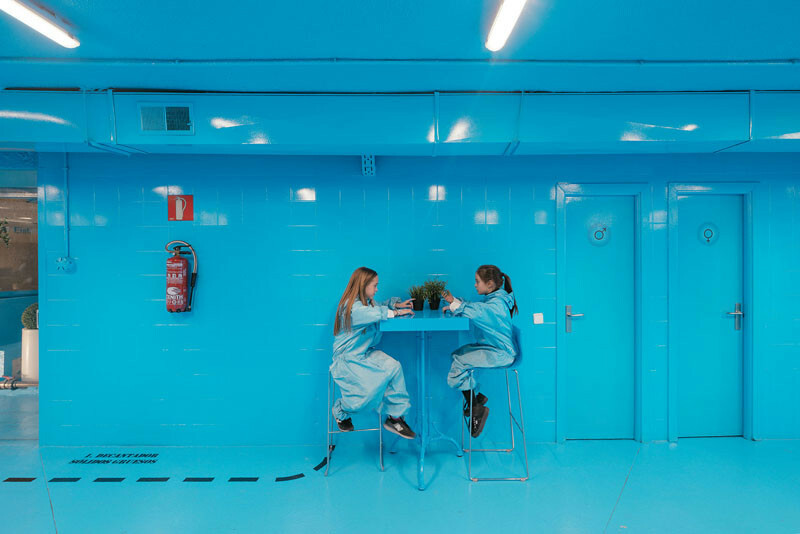 Almost everything throughout the space has been kept a bold blue. Here are more customer areas. 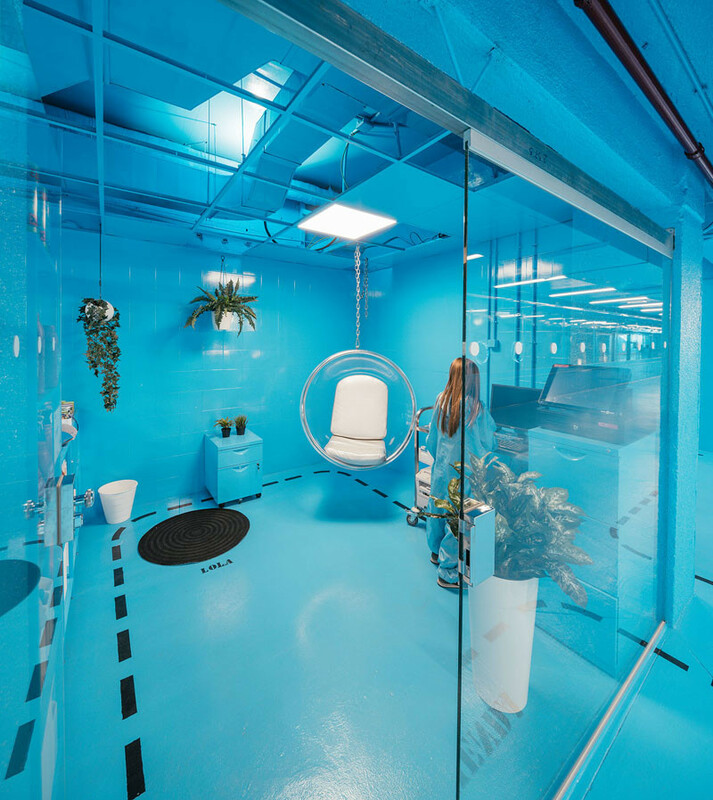 Hanging chairs and plants break up the blue rooms. 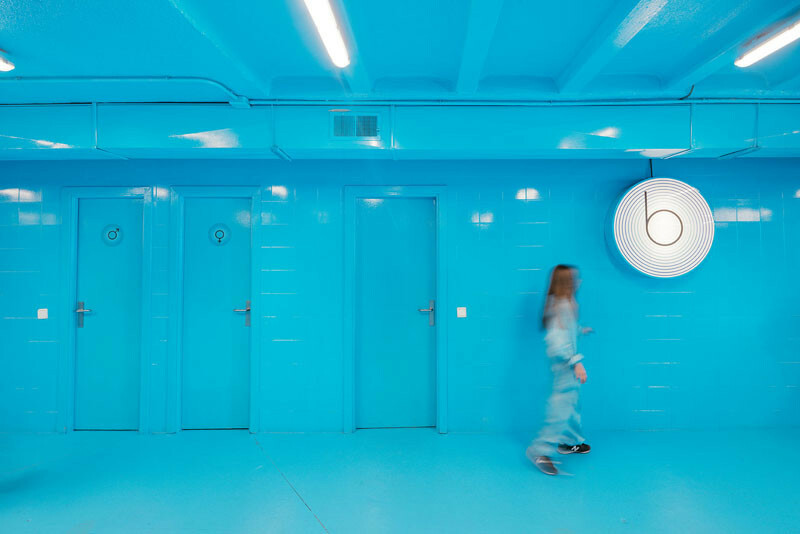 A large logo with back-lit lighting covers one of the walls.